“How to Train Your Dragon 2” is one of those rare films that manages to transcend its predecessor in almost every area. Taking place five years after “How to Train Your Dragon,” Hiccup (Jay Baruchel) is now a young adult and intends to take over the role of chief from his father (Gerard Butler). As this is happening, Hiccup and his allies go to confront Drago Bludvist (Djimon Hounsou), who is trying to build a dragon army. As it has been five years since the first movie, “How to Train Your Dragon 2” must bridge the gap between the past and the present, and it does so with ease. All of the characters are a little older, wiser, more mature, and are believable older versions of the characters that were introduced in the original film. Relationships between the characters have more or less changed in a believable way that gives off a clear idea of what probably transpired with all of these characters over the past half decade. The passage of time allows for new characters and adventures to be made available, which the movie does not miss. There is not even a mild reflection of a story or character arc that is being repeated from the first movie. It is all new ideas in a different story. 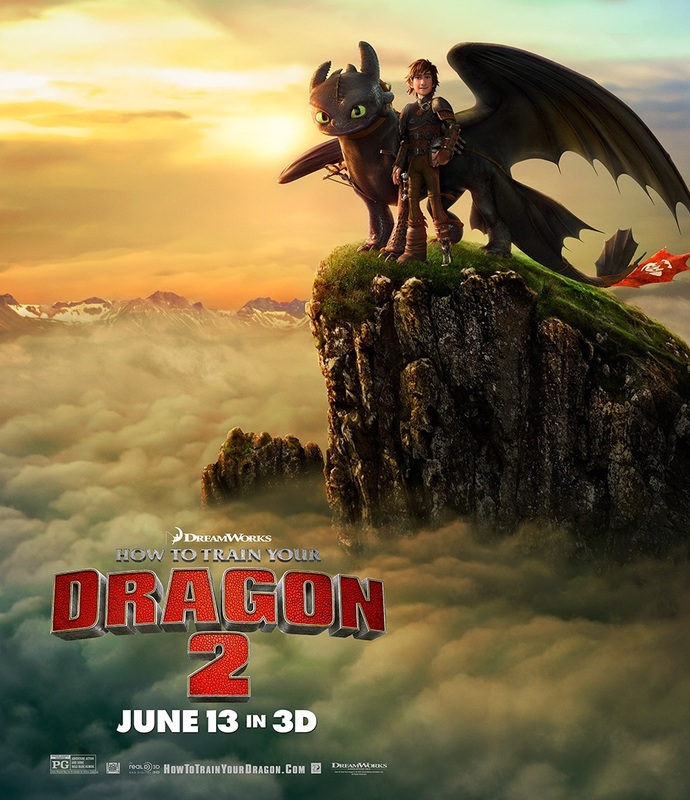 “How to Train Your Dragon 2” is darker and more mature than the first film, which helps establish a fresh identity for it not only from the first movie, but also from the play-it-safe animated films that have been so prevalent in recent years. The best example of this is Drago Bludvist, the main antagonist. He is a well-crafted bad guy with believable characteristics and motivations whose actions have serious repercussions for the heroes. The movie also delves into the realm of social commentary, using the events of the movie as an allegory for animal abuse. While these themes are a little bit obvious for the younger audience members in some cases, it never feels like the movie is insulting the audience’s intelligence or hitting them over the head with an overly simplified social commentary. In fact, there are some subtle details worked in in regards to the animal abuse commentary. For example, Drago’s way of “training” the dragons is an aggressive and cruel mirror to Hiccup’s respectful style. It would be remiss to leave out praise for the superb animation that appeared in the movie. There has been a lot of improvement in terms of the animation’s aesthetics since the first movie, and it even looks on par or better than a lot of other movies from studios that have had high animation quality for years. The character models have a lot of detail to them, and do not look fake or weird as humans sometimes do in animated movies. A lot of detail was added to the dragons as well, which makes them look as lifelike as any other animal in animated form. Even some of the establishing shots of scenery look almost real. “How to Train Your Dragon 2” is a movie that stands out in a time where animated movies are over simplified and pandering. It takes risks that pay off, has a unique feel to it, and it reaches an apex that other movies, both animated and real, should strive for.